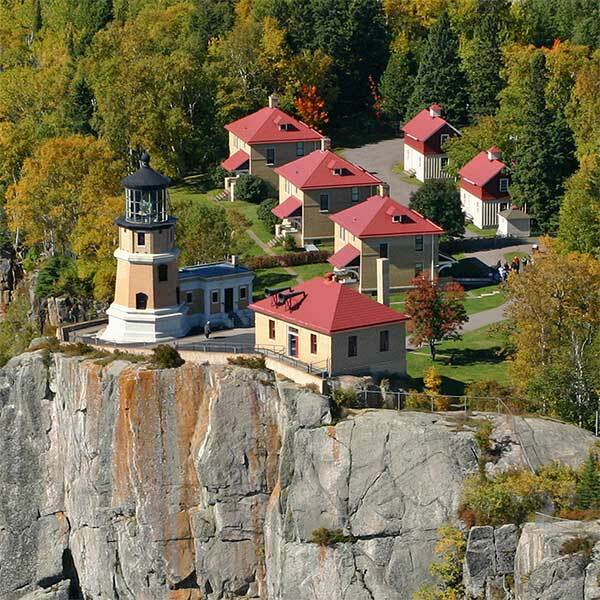 From Gooseberry to Grand Portage, the eight State Parks are quintessential North Shore. 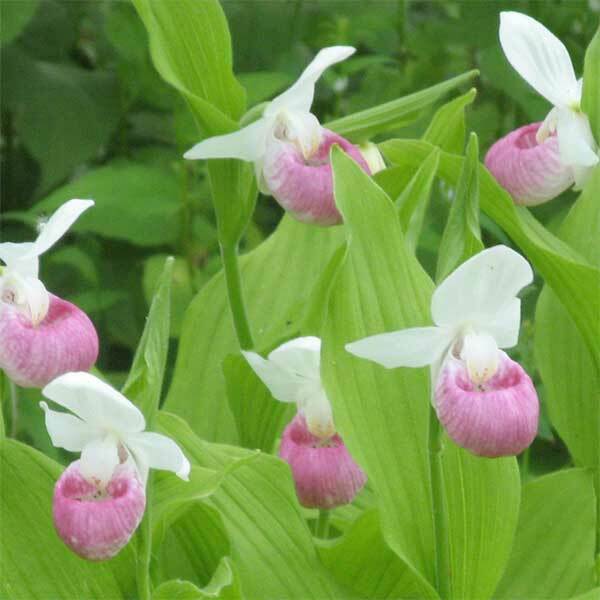 The parks encompass some of the the most striking natural resources in the area. Stop at as many State Parks as you can. It is the most delightful, and easiest way to explore the shore. 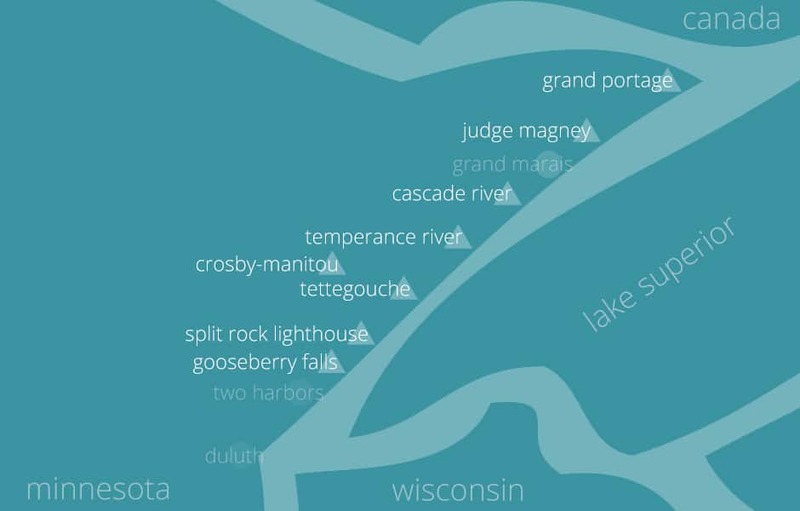 The parks are listed southwest [closest to Duluth] to northeast, ending at the border with Canada. 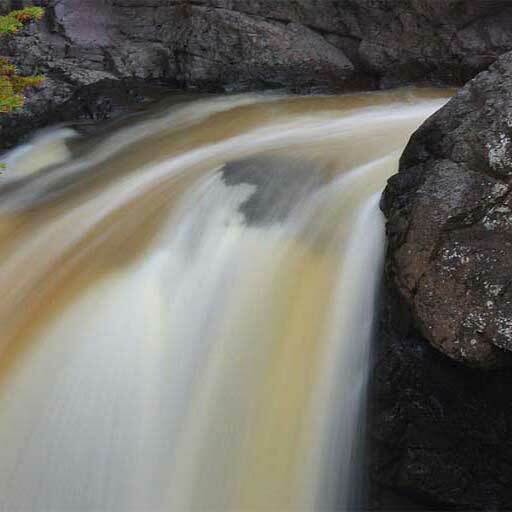 Waterfalls, river, forest and Lake Superior shoreline with access to all via hiking, walking [accessible], and cross-country ski trails plus it is an end point of the Gitchi Gami paved bike trail and has access to the state snowmobile trail. Other highlights include Civilian Conservation Corps buildings, a great visitor center, and it is a state wayside rest area so free parking at the Visitor Center. Obviously it’s all about the lighthouse! The MN Historical Center runs a great visitor center with exhibits, tours and a short film. The state park is all the land surrounding the lighthouse and has great hiking trails, a covered picnic pavilion, and in the winter the trails are dedicated to Fat Bikes. 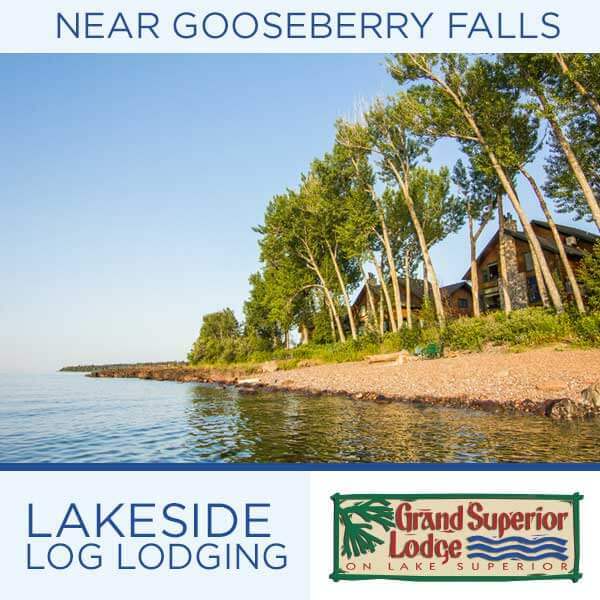 Lakeside, riverside, inland lakes, waterfalls and hikes along Lake Superior up, up, up along the river and adjoining forest lands. Plus an extra cool historic camp with cabin rental available. Where to go for peace and quiet. 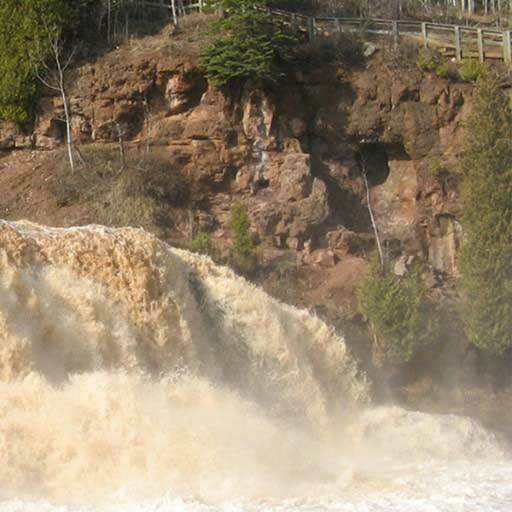 This park is 14 miles off Highway 61 and surrounds the Manitou river with hiking, rustic hike-in campsites and picnicking. Amazing river gorges that start a few feet inland from the highway, waterfalls, two foot bridges, hiking, a cobblestone river mouth, camping and hiking. Excellent hiking and cross country ski trails plus trails that climb Lookout Mountain, a quick 1/4-mile loop up and over the river from the highway, and the cascades that are the namesake of the river. Another quiet state park, but with easier access. 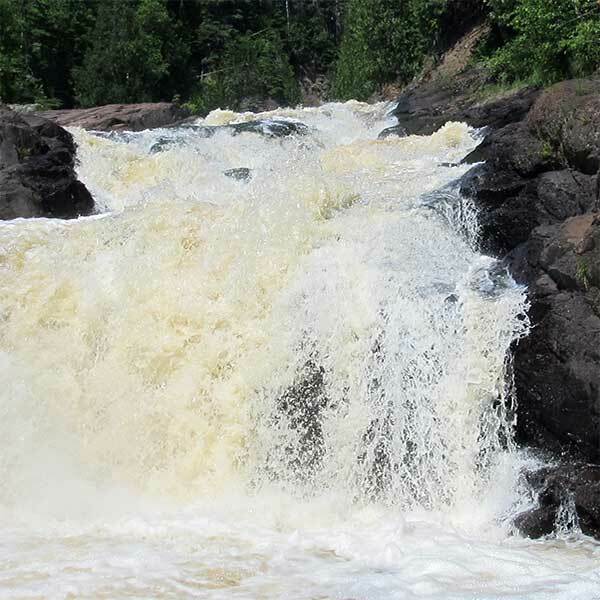 Home to the Devil’s Kettle, the cauldron that gulps up half the river and takes it to an unknown destination. Hike alongside and high above the river along a great hiking trail [lots of steps though!]. 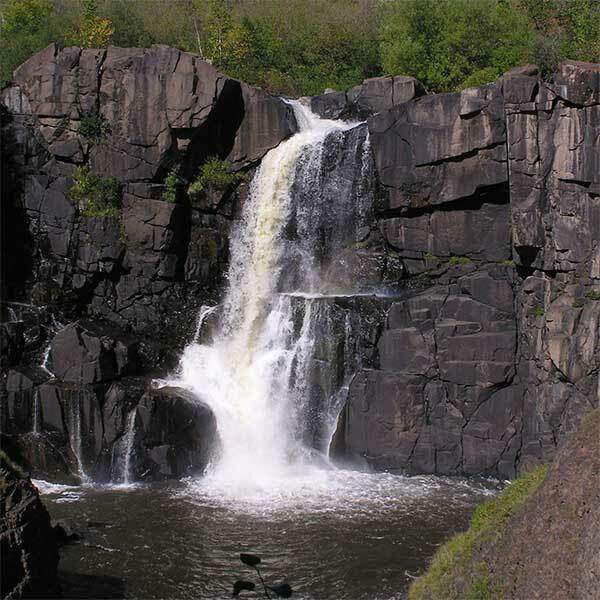 Highest waterfall partially in MN, it plunges 120-feet down the international border river, Pigeon River. Fabulous visitor center introduces and share the local Aniishinaabe culture. Yes, you can see Canada from here. Questions? Scroll down to learn about what permits are required, where, when and how you can include your pet, camping and firewood details, what you need to know about fishing, and about cross-country ski and snowmobile trails and licenses. Click on each park to get an overview of what it has to offer and specifics about visitor center hours and amenities, maps, historic sites, waterfalls, and recreational opportunities. To enter any of the State Parks, a vehicle permit is required. Permits are currently $35 per year or $7 per day and are available for purchase at each park. Annual permits give everyone in the vehicle unlimited access to all Minnesota State Parks. Activities within the park are generally free of charge. Campsites vary from secluded backpack, and kayak sites, to tent and RV sites. As of May 2016, all campsites at every Minnesota state park and recreation area are now reservable. The reservation fee is $8.50 to make an online reservation and $10 to make a reservation by phone. In the event of cancellation, these fees are non-refundable. There is no fee for same-day camping reservations. 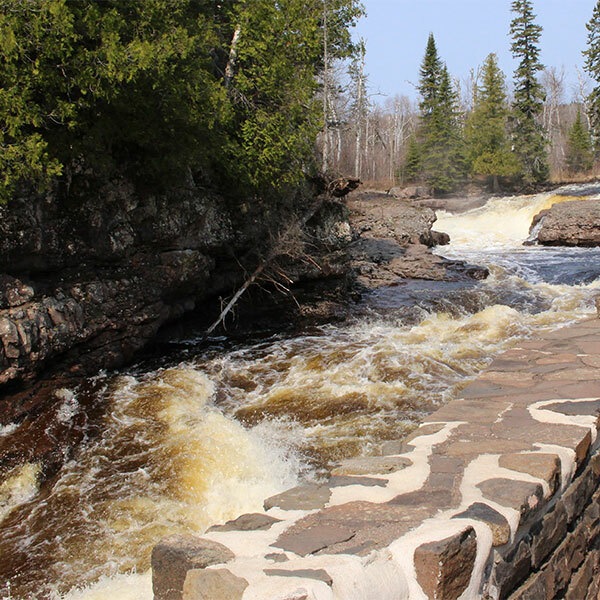 Cascade River and Gooseberry Falls State Parks have rustic group camps available which offer tables, fire rings, toilets and a water source. Tettegouche also has cabins rentals. 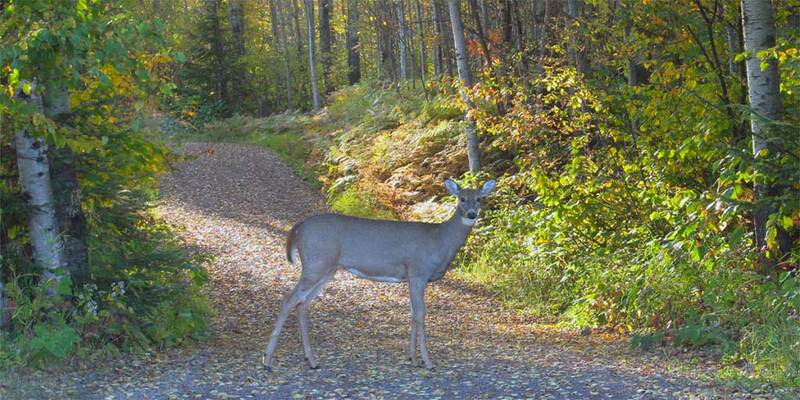 Pets are welcome in Minnesota’s state parks but must be kept on a leash of not more than six feet and must be personally attended at all times. No pets other than hearing or seeing-eye dogs or other service animals are allowed in state park buildings, lodging, cabins, camper cabins, on tours, or in beach areas. Firewood can harbor many different kinds of invasive pests that are harmful to Minnesota trees. Firewood restrictions are needed to help prevent the introduction or spread of damaging forest. It is against the law to bring unapproved firewood into any state park, state forest or day-use area. Find a DNR approved firewood vendor near your destination. Be sure to keep your receipt to show proof of purchase. When fishing in waters entirely within state parks, anglers must comply with Minnesota fishing laws and rules. Minnesota residents can fish without a fishing license in most Minnesota state parks, including ice fishing. Geocaching is allowed in Minnesota state parks, state recreation areas and waysides managed by the DNR. All caches placed in these locations require a signed permit prior to placement. Download permit applications and geocaching guidelines, or pick them up at the park office. When using groomed trails in parks, skiers 16 years of age and older, must have a valid Minnesota Ski Pass in their possession. Ski passes are $6 daily, $20 for one-year and $55 for three-years. Locations you can buy a ski pass. It will be helpful to know that from Duluth to the Caribou Falls Wayside Rest jusr past mile marker 70 is St. Louis County and north of that is Cook County. Snowmobiles in state parks can be operated only on designated trails or posted areas. A snowmobile state trail sticker is required for all snowmobiles operating on state or grant-in-aid trails. Details and fees info here. Snowshoeing is allowed anywhere in state parks except on groomed trails or where posted.